Ridge Runner Cattleman Traditional Assisted Opening Pocket Knife | BUDK.com - Knives & Swords At The Lowest Prices! 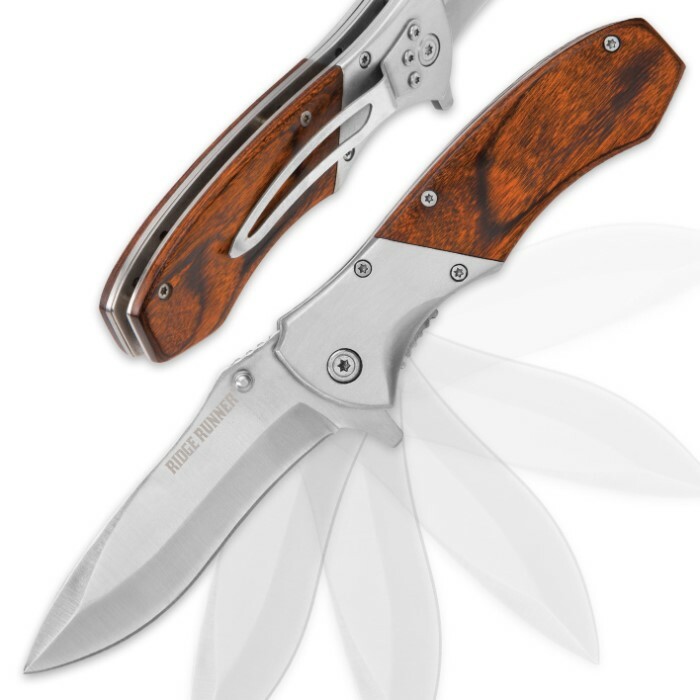 Fusing classic style and contemporary technology, Ridge Runner's Cattleman Pocket Knife delivers a modern, innovative assisted opening mechanism in a charming, traditionally designed folder. Its 3 5/8" stainless steel drop point blade is razor sharp, ultradurable and extraordinarily versatile - ideal for simple everyday cutting tasks, challenging back country chores and every job in between. Just nudge the handy flipper or thumb stud, and the blade deploys in the blink of an eye, thanks to the silky smooth, lightning fast assisted opening mechanism. Once open, the sturdy liner lock keeps the blade secure for maximum safety and stability during use. 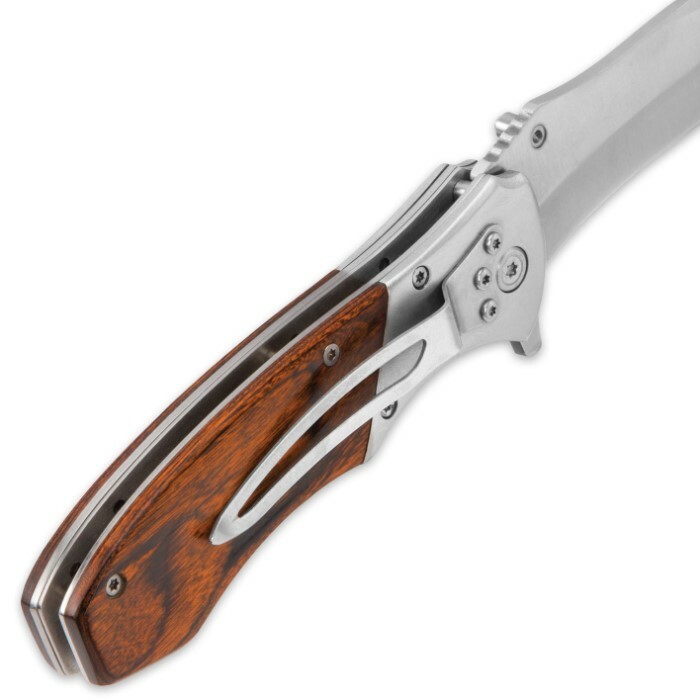 Satiny stainless steel bolsters and handsome-yet-tough pakkawood scales comprise the Cattleman's robust - but not bulky - handle, which boasts an outstanding hand feel that only gets better with regular use and proper care. 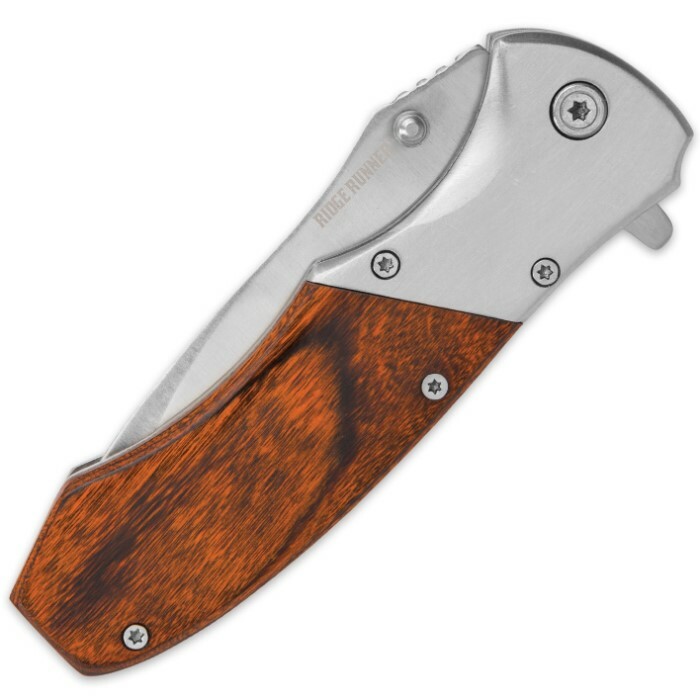 The Cattleman's ideal weight and impeccable balance further enhance its remarkable feel, and the integrated stainless steel pocket clip makes this superb all-arounder especially easy to carry. 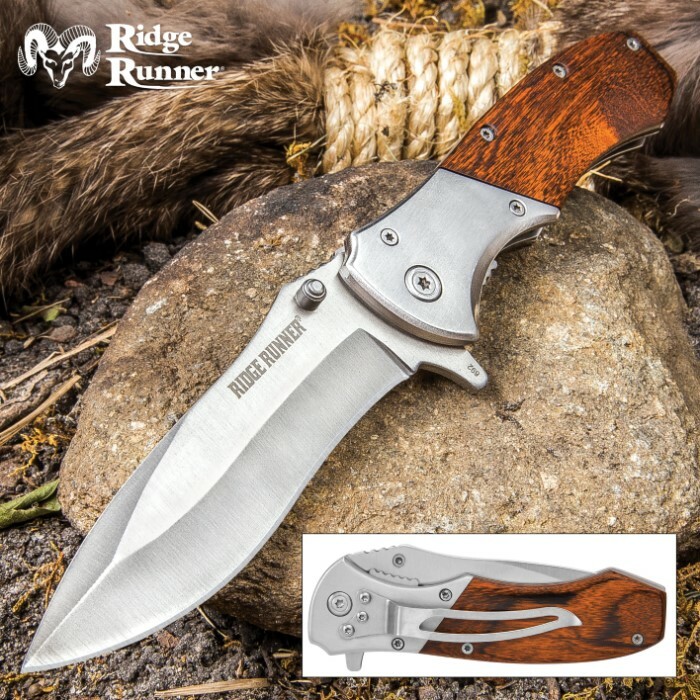 Sprawling ranches, quaint farms, remote wildernesses, city streets, suburban backyards - the Ridge Runner Cattleman Assisted Opening Pocket Knife is right at home in any setting, any terrain, any locale. You won't find a folder this solidly built and exceptionally versatile priced this low anywhere else, so don't delay - order today!